Bollywood actress always gives the new and unique fashion style to India from last 3 Decades in a past era many actresses like Hema Malini, Rekha, Asha Parekh, Madhubala and more give the lifestyle and fashion style icon in Indian. Currently, Alia Bhatt is the good stylish female person in Bollywood many girls are following her fashion outfits in routine life and parties. Alia Bhatt Denim Jeans Style are will you copy sure.. Many Girls are demanding in a fashion store and searching over the internet about the Alia Bhatt dresses, jeans and sarees or few girls made it from the tailored. Today I will post the few pictures of the Alia Bhatt denim jeans outfits which you can copy at college, office, parties, travel etc. You don’t know but Alia Bhatt love the Denim Jeans she always wears the denim jeans while off shooting time, travelling time and shopping time, Also She loves the Knee Cut Denim Jeans most and Denim shorts too. Wear the off blue denim jeans with two cuts at the jeans and the bottom it is the straight and the loose denim jeans, You can wear this kind of jeans on a Sunday especially relax and chill mood. Alia Bhatt also wears this outfits when she free from the shooting scheduled. 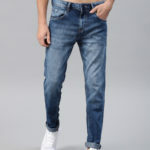 You can try out off blue denim jeans without cut also on the t-shirts and shirts, of course, wear with loose t-shirts also with this straight loose denim jeans. 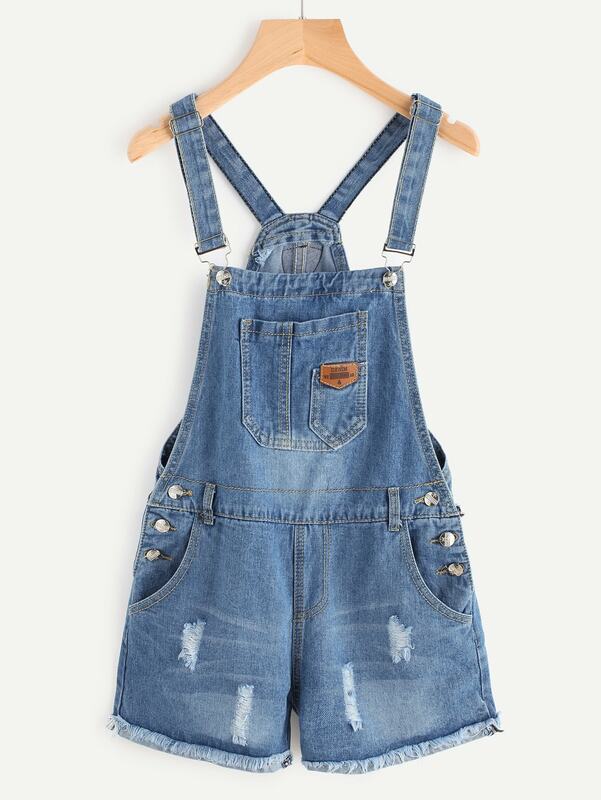 When we kid many kids have worn this kind of dress but Alia Bhatt wear the denim jeans dress over the t-shirts and folds the bottom jeans line. You called also denim suit even this dress has attached the denim jeans which is cover the belly and hang on the shoulder. You can wear this with White and Black Tshirts on the college and friends outing time, Just because of it looks like kids wear. Alia Bhatt wears the printed shoulder tops with many cuts of denim jeans. 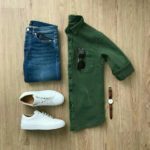 you can try out this types of outfits with printed black, blue, green and khaki top, Because of denim jeans looks attractive when you wear on black colors. Alia Bhatt wears two shades of a denim shirt with a knee cut denim jeans while on traveling mood. 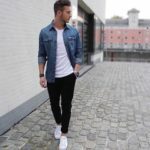 A unique denim shirt has two shades one has bright blue denim color and another one has dark blue denim color which wears on the blue denim jeans. 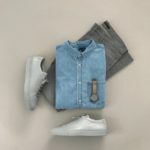 It is a simple denim outfit you can also wear while you are in traveling time you can wear the blue color sun-glasses which look attractive and eye catchy. Alia Bhatt wears the one piece “single” piece denim jeans dress. It’s pure denim jeans and another side white color but it is not a denim fabric it is the cotton. Also, it’s not full dress it is short denim dress alia bhatt loves the shorts too. Dress has two side pocket. You can wear this types of denim dress at the parties, events only. This kind of dress especially available on ajio and Amazon you can find out there if you do not find the dress you will make this dress own. Star printed full sleeves t-shirts will look amazing on the knee cut and patches denim jeans, Alia Bhatt loves the sneakers as well she always wears the sneakers especially white on the denim jeans. You can also wear the white, black and pink sneakers on this types of denim jeans and t-shirts outfits. It is the light-dark blue denim jeans with Capri style. you can wear over full sleeves t-shirts especially on the winter sweatshirts looks awesome. 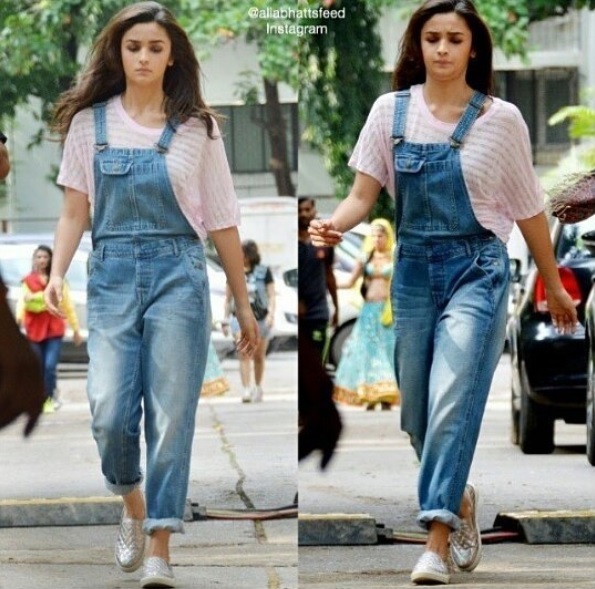 This is the very simple denim jeans which have no knee cut or any patches as I said before Alia Bhatt loves the knee cuts jeans but this is a winter outfit there are straight simple denim jeans with full sleeves t-shirts. Alia Bhatt wears the coat on the top cut t-shirts with little patches cut denim jeans. You can wear this types of outfits at parties and events where you can feel uniqueness in this outfits plus comfort too. Simple shoulder cut top with patches denim jeans you can wear at the college and weekend office outfits. Alia Bhatt wears the little many patches denim jeans which are easily available on Amazon and other marketplaces website. You can wear with yellow tops also, option a white, blue, pink, red tops you can wear with this types of patchy jeans. In the winter season, if you have not a good body cover outfits for your college or event or parties, You can try out this Alia Bhatt style wear the sweater on the denim jeans. You can try the white, red, black, pink “just like image” and other colors option which contrasts set on the blue denim jeans. Denim jeans have no cut and patches and not any style it’s simple and skinny fit jeans. 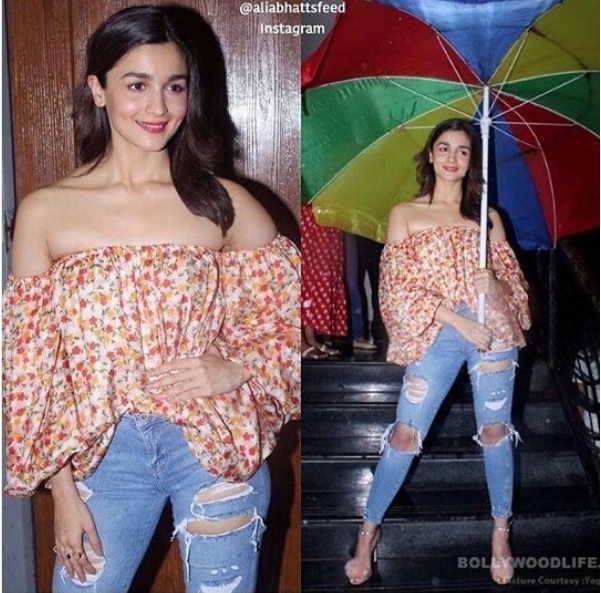 When you are on the travel time and want to wear a stylish outfits try Alia Bhatt this outfits. Alia Bhatt wears the hoodies with knee cut denim jeans and white sneakers, feel relax and fresh when you go to travel via plane or train. You can choose the white, black, grey, pink and red hoodies with blue denim jeans. If you have Black Jeans you can try out that with same hoodies colour. KURTA STYLE T-SHIRTS WITH MULTI KNEE CUT DENIM JEANS. Kurta with denim is a trendy fashion in this days, Alia Bhatt wears a unique sleeve with kurta fabric material t-shirt you called the kurta style t-shirt, A three layers sleeves with checks texture on ocean blue colour kurta t-shirt with big and many knees cuts denim jeans. Wear on the party and music concert occasions. Alia Bhatt wears in this pic yellow tops with skinny fit denim jeans which are tiny patchy style. As a Sense of style, Alia Bhatt becomes the investor in the StyleCracker. It is the personal stylist provider just like you can order the all the fashion outfits with accessories like shoes, bags, jewelry etc. more detail clicks the above link. Knee cut black printed Jeans with Black t-shirts, You can try out this types of jeans and t-shirts at college and weekend outing. you can also wear the white shirts with types of jeans. This is not full black denim jeans it is grey and black colour.